Install the EN-50717?E assembly (1) to the EN-8062 compressor (4). Install the EN-8062?E adapter (3) to the EN-8062 compressor. Install the compressor assembly to the cylinder head, so that the adapter (5) of the EN-50717?E assembly (1) contacts the valve spring retainer properly and the EN-8062?E adapter (3) contacts the valve disc (2). Prefix the EN-8062 compressor (4). 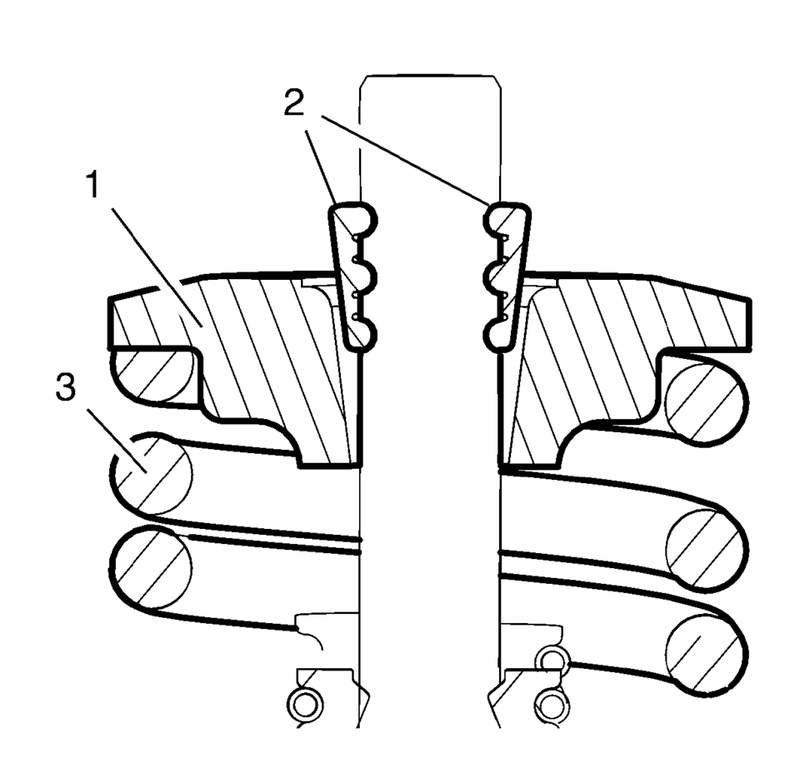 Apply pressure to the EN-50717?E assembly to push down the vale spring retainer (1) and compress the valve spring (3) until the valve keys (2) are free from tension. Carefully remove the valve keys. Slowly and carefully loosen the EN-50717?E assembly until the valve spring is entirely expanded. 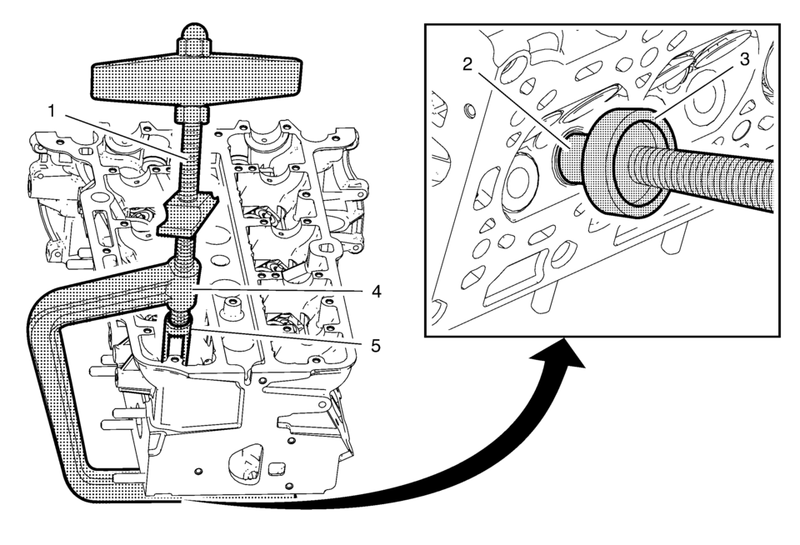 Remove the compressor assembly from the cylinder head. 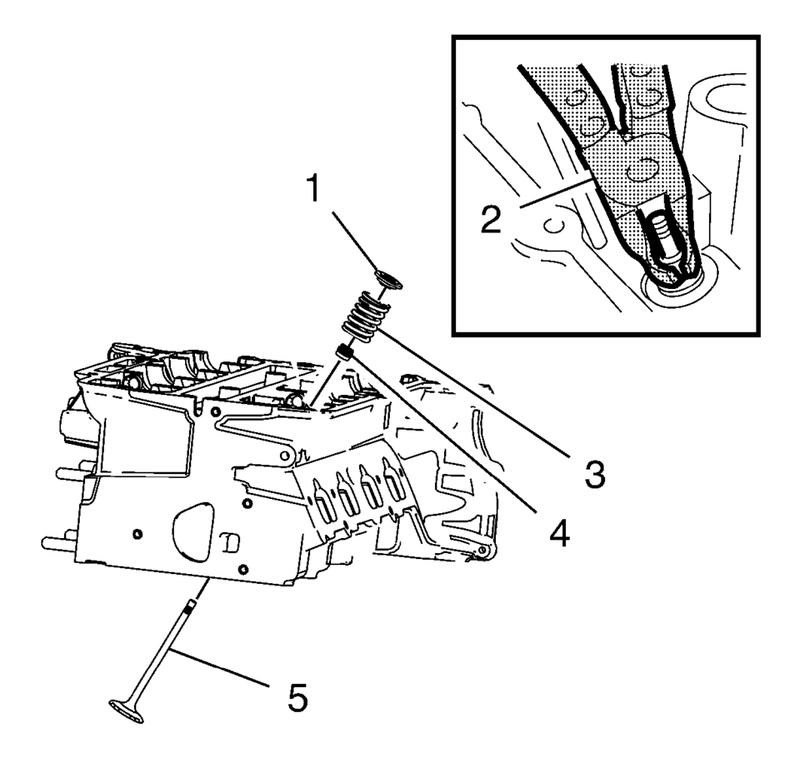 Remove and DISCARD the valve stem oil seal (4), using the EN-840 pliers (2). Ensure that the valve train components are kept together and identified in order for proper installation in their original position. Repeat the procedure with the remaining valves. In case of re-using the cylinder head, refer to Cylinder Head Cleaning and Inspection.